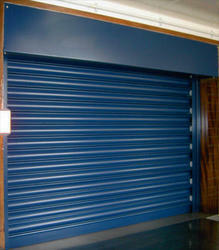 Prominent & Leading Manufacturer from Ludhiana, we offer rolling shutter. We offer a wide range of high quality Manual Rolling Shutters These shutters are manufactured using the latest technology such that they can give a trouble free performance for a longer time period. The raw materials used for the manufacture of our shutters are of high quality that is procured from reliable vendors. We also ensure that all our products match the international standards of quality.